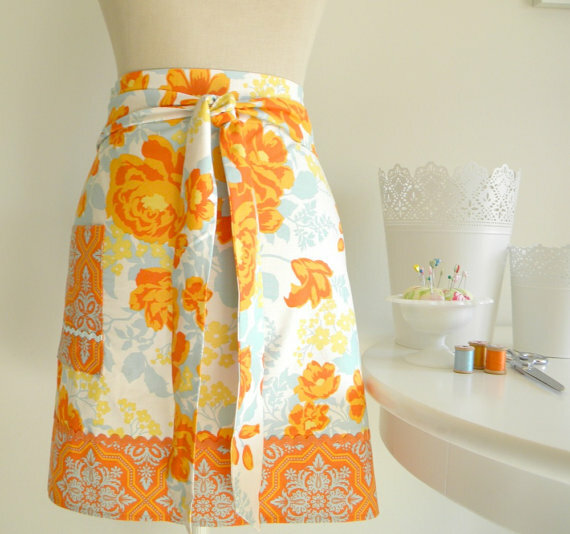 Juneberry Lane: Juneberry Home: Spring Kitchen Makeover-Orange & Turquoise!!! 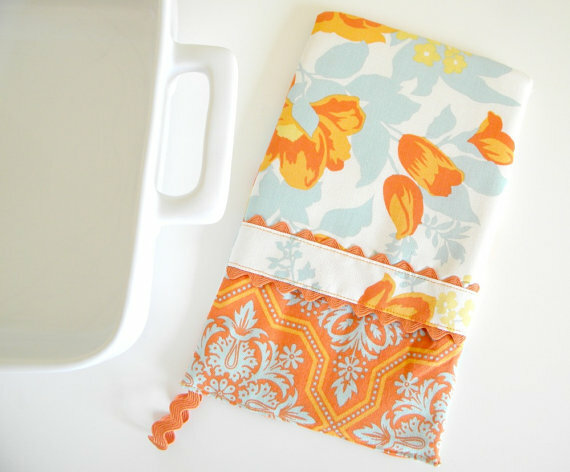 Juneberry Home: Spring Kitchen Makeover-Orange & Turquoise!!! Well, you've been putting it off long enough-Easter is over and it's high time to break out those cleaning supplies and get the pad perfected for some memorable summer get-togethers! And no Spring-cleaning would be complete without a few fun new goodies to look forward to laying out, once your counter tops are scoured and your floors are a-glistening!! 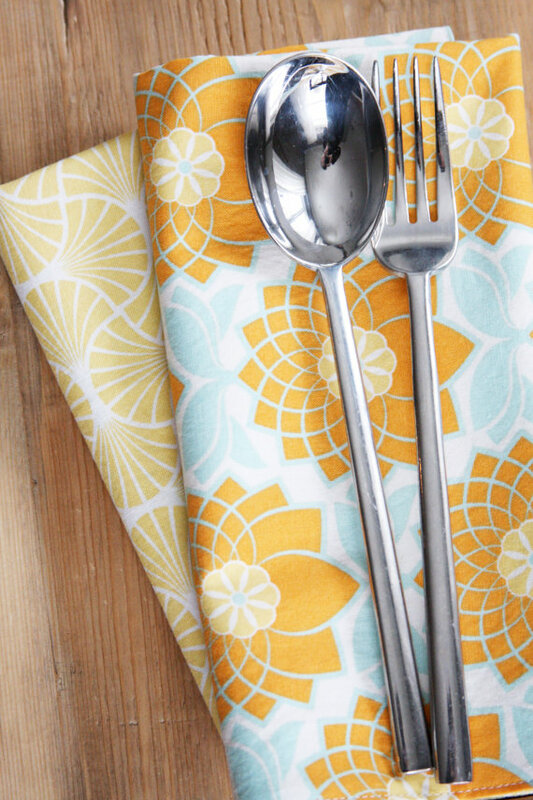 Today, we focus on the kitchen and the hot hue combo of the moment-Orange & Turquoise! 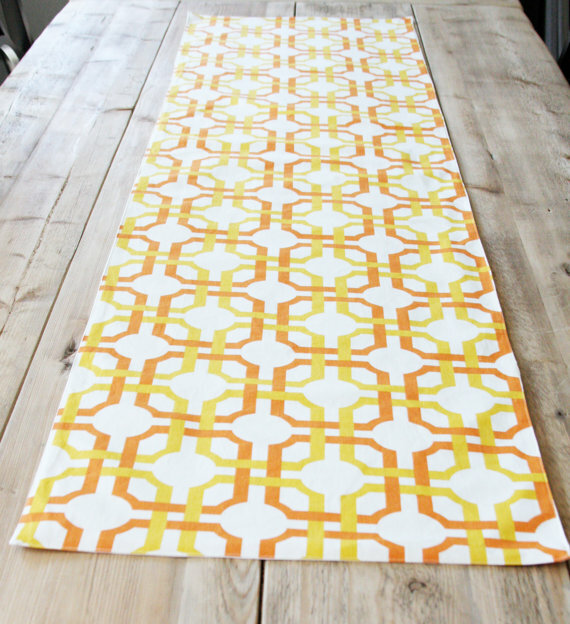 It's time to brighten up those kitchens for the warm weather and there is no need to break the bank while doing it! 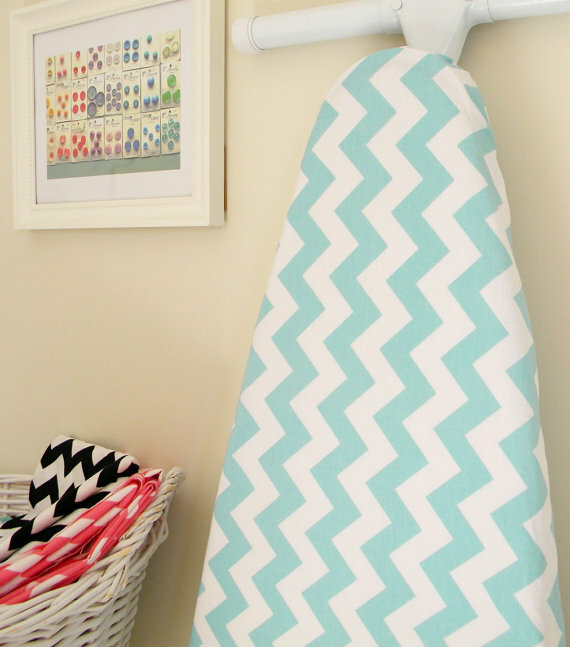 Just check out these quick little updates that will fill everyone's favorite room with sunshine . . .
First off, how about these fresh finds from City Chic Country Mouse . . .
Or how about these lovelies from Too Cute Custom Crafts . 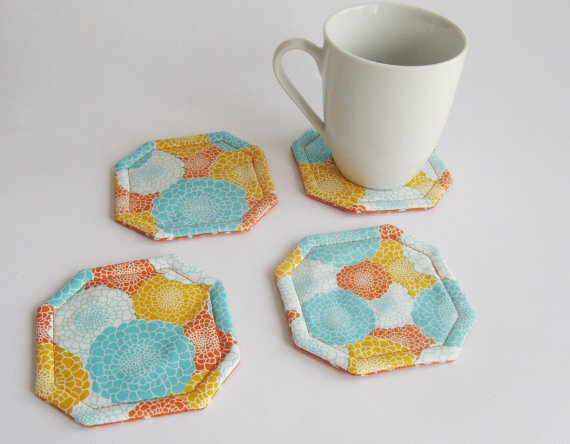 . .
And take a look at these fantastic coasters from My Happy Hobbies . . . 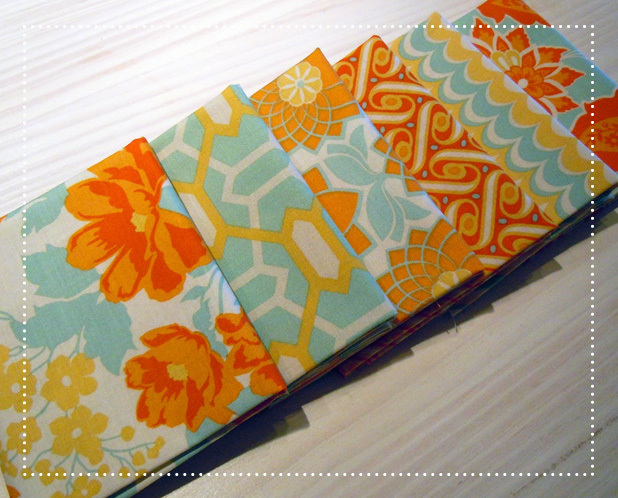 I just think these Joel Dewberry Heirloom fabrics are the perfect choice for a Spring Makeover, don't you? 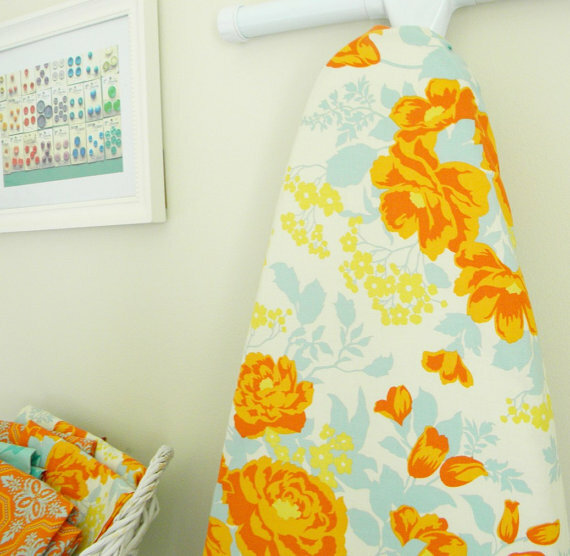 Floral, orange & turquoise, fun brights....so many trends to try, so little time!! Happy Cleaning! !